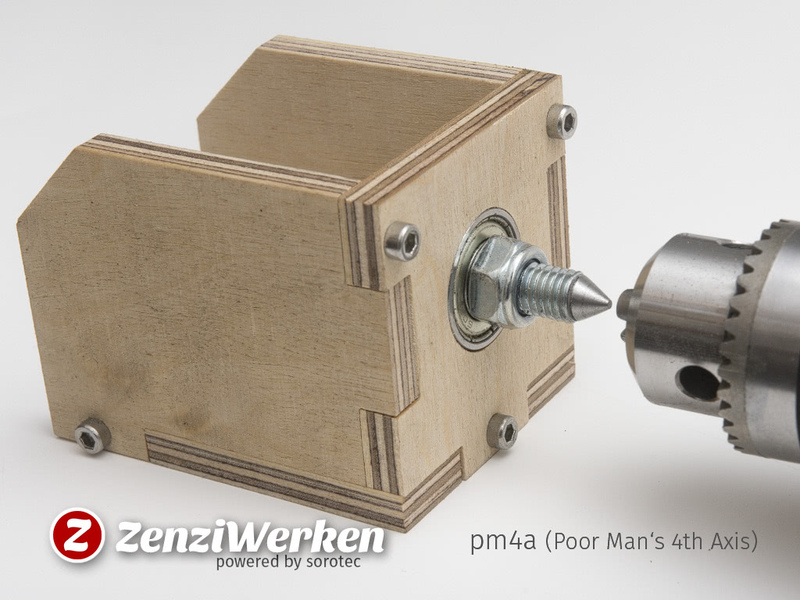 In order to give tires of my model cars a final touch I was thinking of using a 4th axis for rotary engraving. For the vague idea, the intense investment and due to harsh software requirement it did not get a professional 4th axis set. 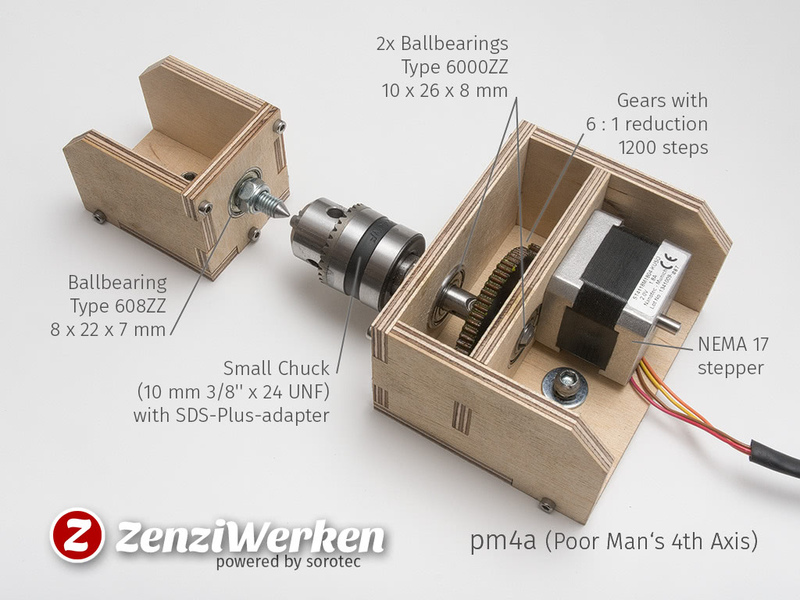 It came in handy that I had a stepper motor (I changed from my y-axis) and a small chuck laying around. 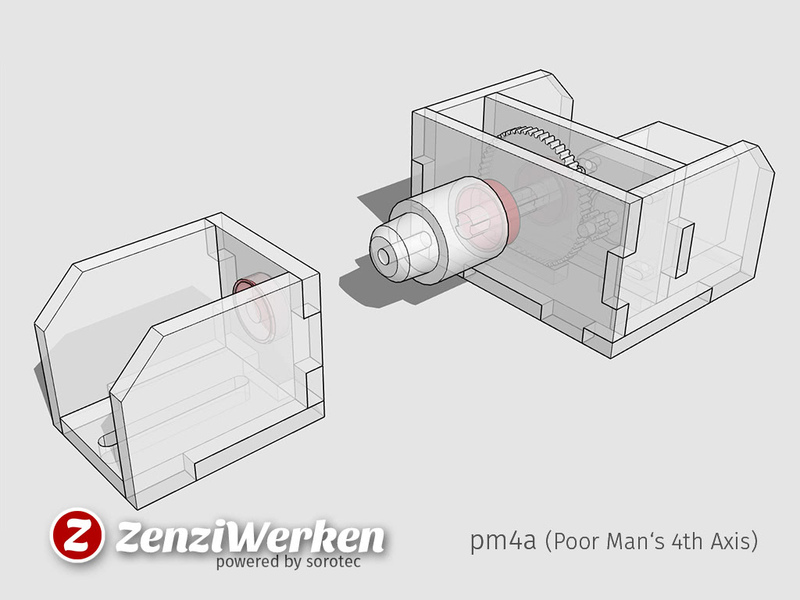 So I designed the pm4a. The two gears have a pretty uncommon cycloidal (round) teeth, which helped me to create smaller teeth because they don't have any corners. Otherwise, the teeth size would have been limited by the diameter of my milling bit. 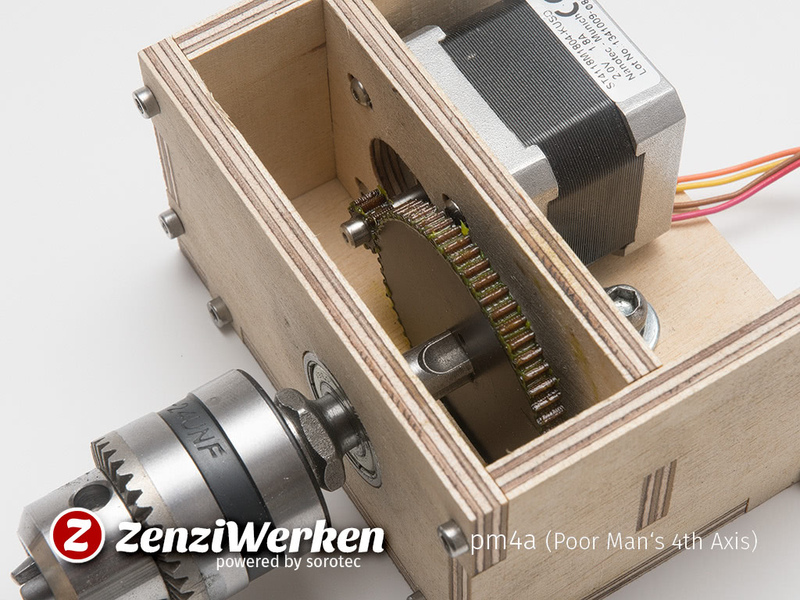 The motor is driven by plugging it into the X-axis stepper driver. This way the machine won't move sideways, but instead, the workpiece does. The distance of travel for one revolution is calculated depending on the diameter of the workpiece divided by the gear reduction of 6 : 1. 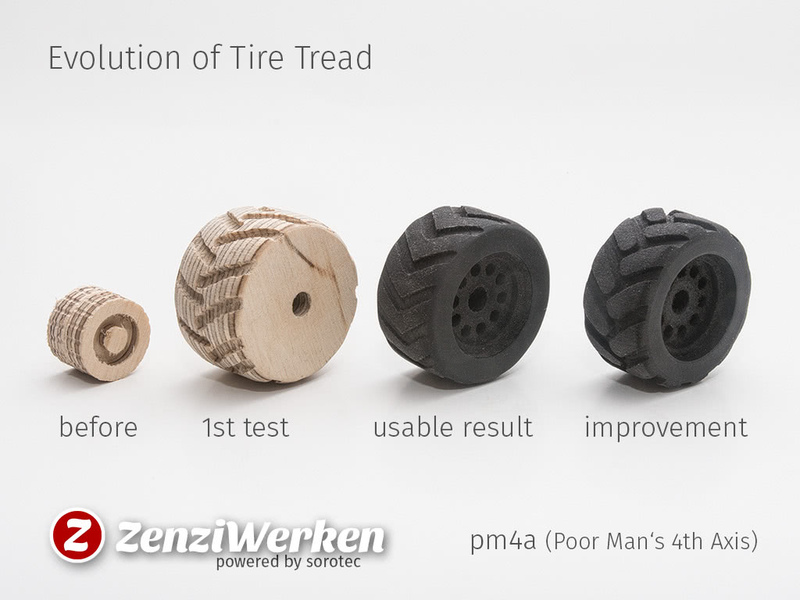 For example, my tires have 40 mm diameter. So the circumference is 40 mm x π (3.1415) = 125.66 mm / 6 = 20.94 mm. I entered this value in the controller settings. When using the pm4a it'd be a good idea to use some kind of cover to prevent dust from getting into the gearing.